One of the things we love most about Halloween is the decorations. Yeah, okay, so we're huge fans of the costumes too (we're pretty sure you guessed that already) but we really do love the decorations! They give everyone a chance to personalize their holiday. Your home could be filled with classy glittering pumpkins and candelabras, or silly jack-o-lanterns and scarecrows. Or. Or you could fill it with terrifying ghouls, ghosts, and gravestones. 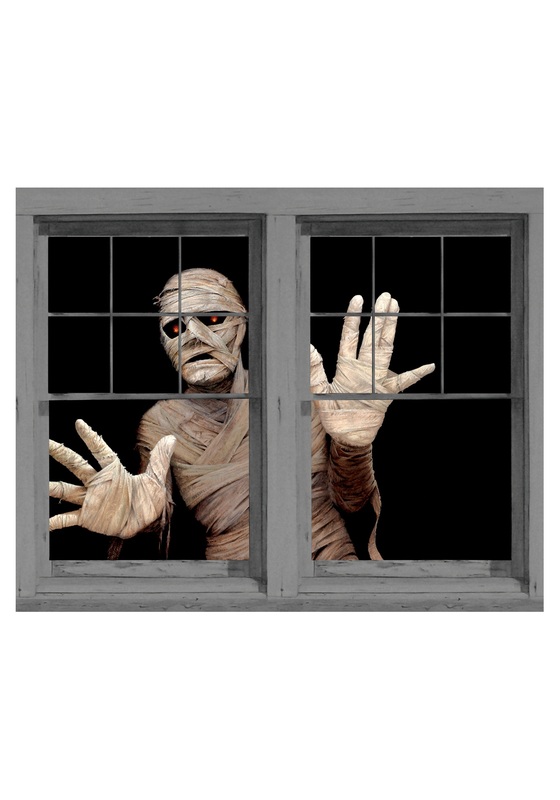 If you're someone who likes the more terrifying decor options, you should try out our Menacing Mummy Double Window Cling. It is comprised of two 35" x 60" posters that adhere to windows. 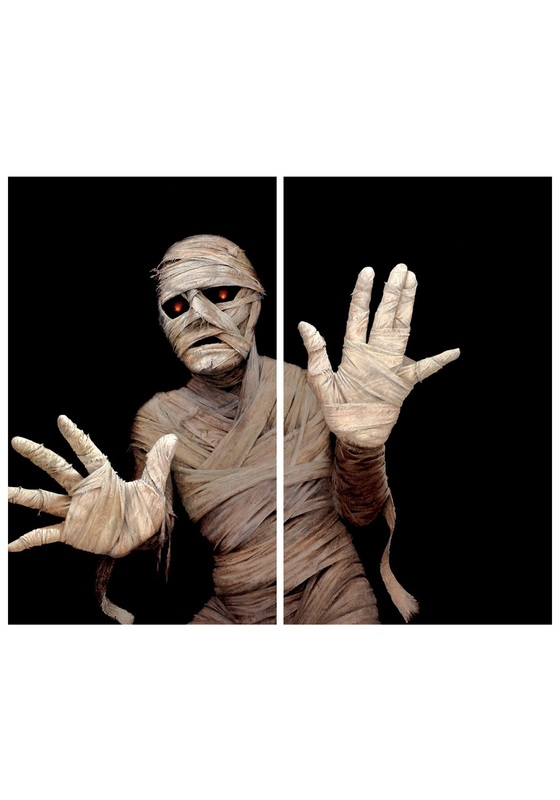 The cling pictures a creepy looking mummy that appears like he's trying to get out of your house. Perfect for terrifying the neighbors... which sounds like our kind of holiday decor.